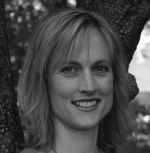 Kristen Tegtmeier Oertel is the Mary Frances Barnard Associate Professor of Nineteenth-Century American History at the University of Tulsa. She is the author of Bleeding Borders: Race, Gender, and Violence in Pre-Civil War Kansas (LSU Press, 2009) and the co-author with Marilyn Blackwell of Frontier Feminist: Clarina Howard Nichols and the Politics of Motherhood (University Press of Kansas, 2010). Before arriving at Tulsa in 2010, Oertel taught for ten years at Millsaps College in Jackson, Mississippi, where she taught classes on the Civil War and African-American history. Oertel received her Ph.D. from the University of Texas at Austin and her M.A. from SUNY-Binghamton; she is a native of Kansas City.